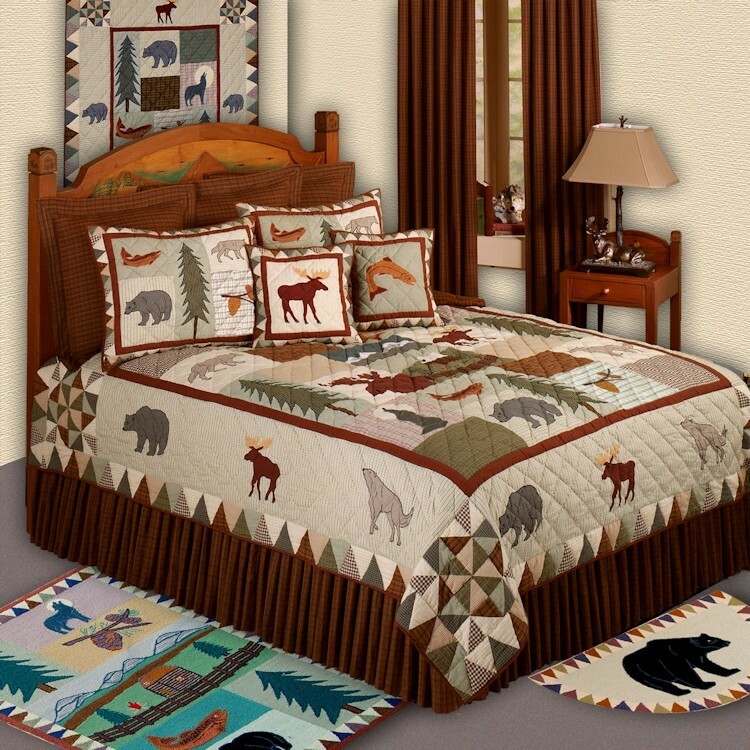 Neutral tones of brown, beige and green are combined with applique wildlife on this rustic Mountain Whispers Quilt Sets. 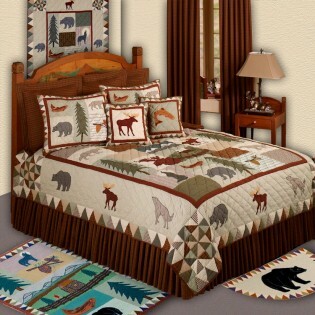 Moose, Grizzly Bear, Fish, Pine Cone and Wolves along with Pine trees adorn this cabin style quilt. Your quilt set includes: One quilt, dust ruffle and standard pillow shams (1 with Twin, 2 with Full and Queen and 3 with King)and 1 moose accent pillow.